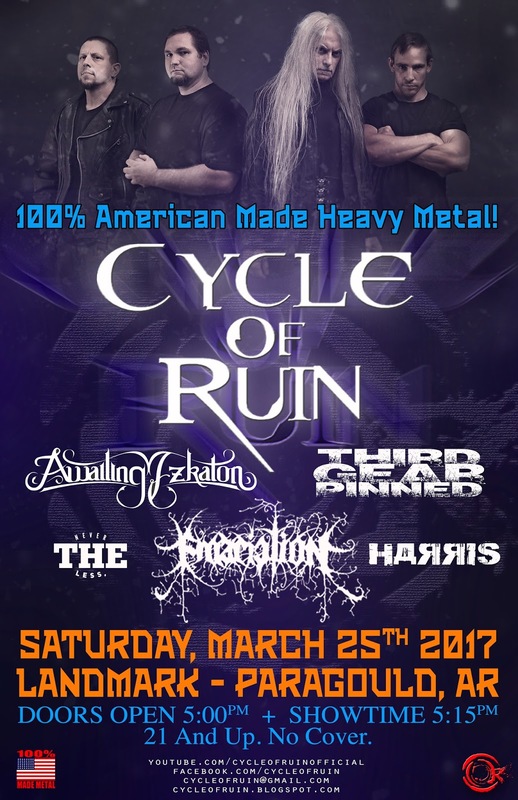 Cycle Of Ruin will be returning to Landmark in Paragould, AR Saturday, March 25th 2017. 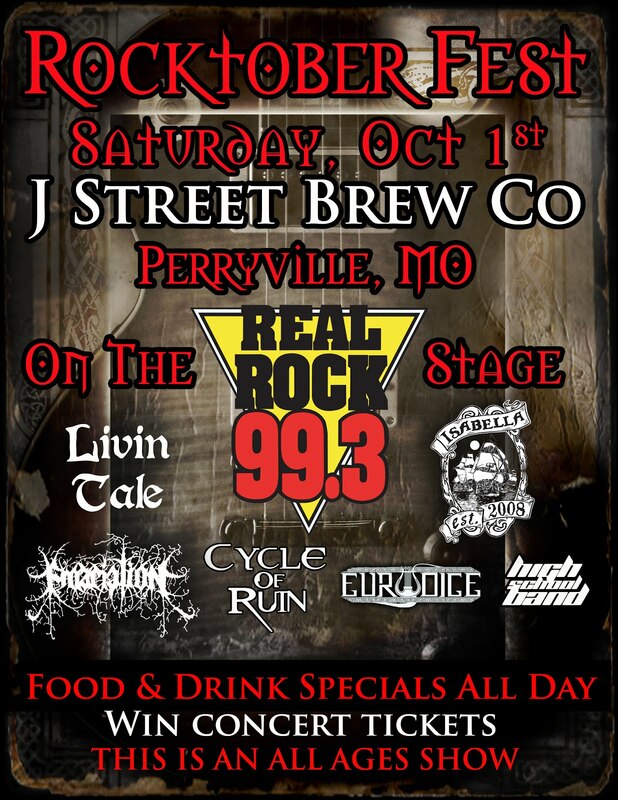 Cycle Of Ruin will be appearing live in concert Saturday evening, October 1st 2016 in Perryville, Mo USA on the Real Rock 99.3 Stage. The stage is located inside J. Brew Co.
Upcoming Shows. 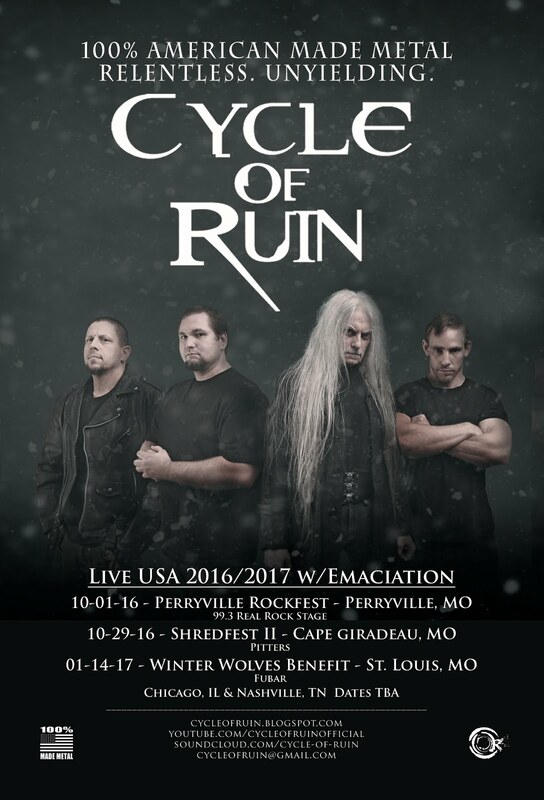 More to be announced for 2017. 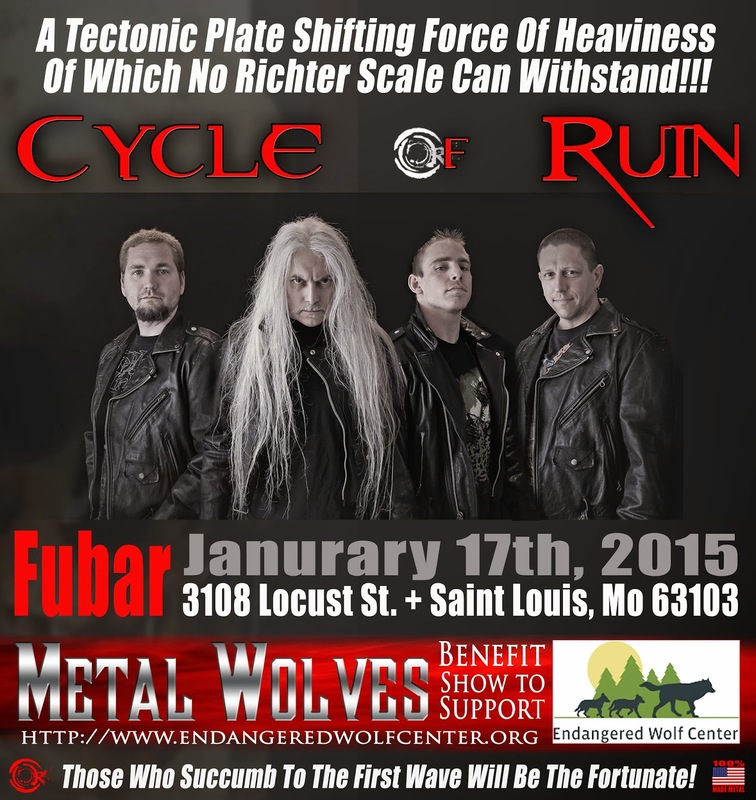 St. Louis, Missouri tonight for the Endangered Wolves Sanctuary. We are sharing the stage with a host of very talented and heavy bands! All top shelf extreme metal acts on the bill tonight at Fubar! 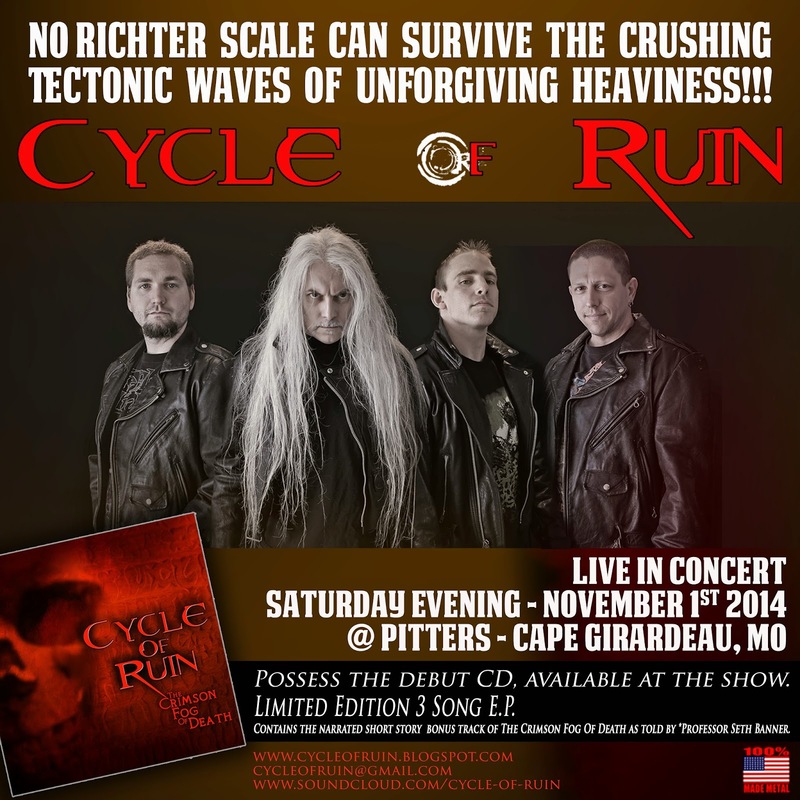 Cape Girardeau, MO beware, Cycle Of Ruin will be performing at Pitter's in Cape Girardeau, MO Sat. Nov. 1st 2014. 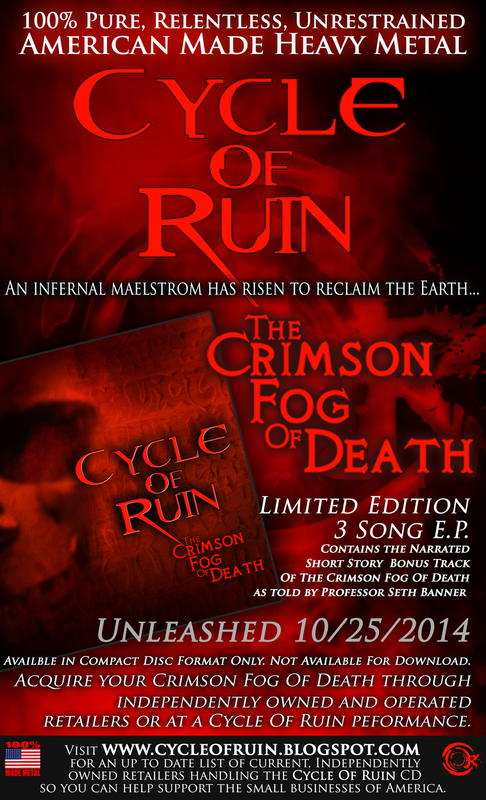 The debut Cycle Of Ruin E.P.,The Crimson Fog Of Death will be officially made available Saturday October 25th, 2014 in compact disc format. Please check the Independent Retailers page for a list of retailers that carry the CD. This list will be an ongoing project but you will also be able to get the CD at a Cycle Of ruin performance. 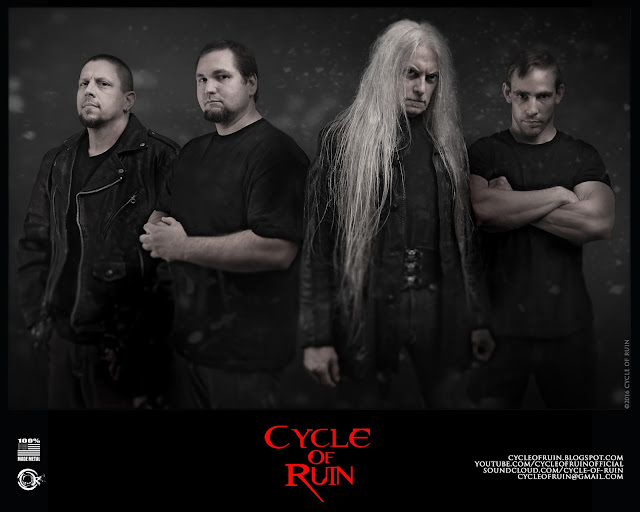 2014 Cycle Of Ruin. Simple theme. Powered by Blogger.